There’s no place like it in the world. Las Vegas, a city of half a million people carved out of unforgiving desert landscape and fueled by hedonism, may seem to exist for one purpose: entertainment. And while Vegas delivers diversions in abundance, it’s also home to a thriving arts community, a solid college scene and a smattering of industry, from interior design to energy. 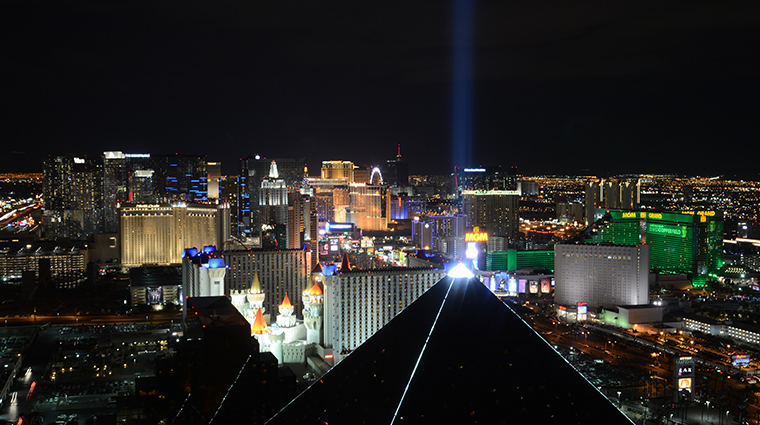 Still, most people come to Las Vegas to let loose, whether that takes place at a casino or one of the city’s many theaters, upscale restaurants, spas or luxury hotels. If it’s your first trip or your 50th, you’ll spend most of your time on Las Vegas Boulevard, also known as the Strip. Of course, not all entertainment is located on that four-mile stretch of boulevard. Las Vegas is also home to Red Rock Canyon National Conservation Area, which is one of the nation’s most popular spots for rock climbing. And there’s the Atomic Testing Museum, which delves into Nevada’s unique role in the Cold War. Come to Las Vegas prepared to have the time of your life, but keep in mind you’re visiting the Mojave Desert. If the weather gets to be too much, you can always stay inside at the gaming tables.